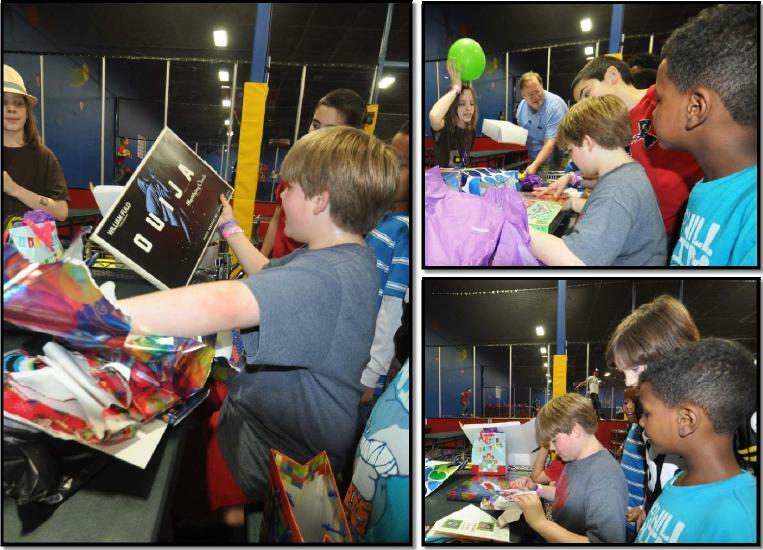 Jump Street: 12th Birthday Party! Tuesday, April 23, is my 12th birthday. 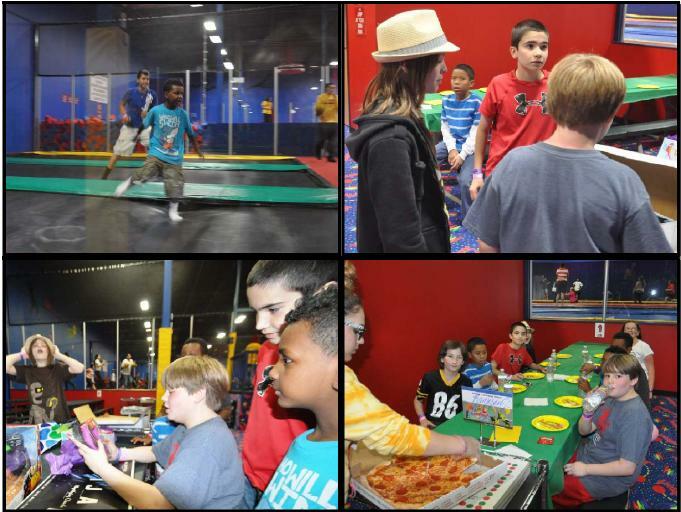 But we had my party yesterday at Jump Street. I invited my favorite people — and nearly everyone got to come. I was so glad! Shane and his twin sister Sammie, and their mom Jo-Ann — Shane and I were in a TV pilot together, and I like him a lot. Devin, who has been my best friend for nearly five years now, and his Dad Ben and his mom Tiffany. Of course, my grandma and grandpa were there. The party was a gift from my other grandparents — Grandma Patty and Grandpa Jerry — but they weren’t there because they live in Las Vegas. I was almost late for my own party. Circus rehearsals ran long, and Fanny had me running through one of my routines 5 minutes before the party started — and I changed clothes in the car on the way from the gym to Jump Street. Just before we got there, there was a huge traffic jam. So almost everybody else was there before us! We rode the mechanical bull, ran up the trampoline walls and jumped on the trampoline, played dodgeball, and played video games. There’s a video of me on the mechanical bull at the bottom of this page. It’s funny how everybody was best at something. Matthew won almost every game of dodgeball, even though he was smaller than a lot of the players. Moses, Shane, and Devin were great on the mechanical bull. Sammie was amazing on the trampoline. John and Xavier won all the video games. As for me, I won because my friends showed up to share my party! I got great gifts, too! But the best gift was having all my friends there, and getting to introduce people I know from different places. I was proud of the cake. There’s a bakery called the Casa Linda Bakery not far from our house, and if you draw a picture, they’ll put it on your cake and color it in the way you want it. So I drew a picture of a dragon, and they turned it into a cake. It looked cool, and tasted good, too. Not much was left when we went home — and Devin, Caleb and I finished it off before we went to bed. Caleb is my step-brother. He didn’t get to come to my party because Jump Street is for people 10 and older. So after the party, my dad Scott Badgers and Caleb’s mom Misti brought Caleb and my youngest brother Cassen over to the house for a visit, and Caleb spent the night. This is just the beginning of my birthday week — my dad and Misti are going to take me out this evening when they pick Caleb up, and I’ll see my mom and my grandma Beverlee later this week. Grandpa Jerry says the party is just part of my gift from them — there’s a box in the mail, too. Here’s a few pictures — it was so much fun! 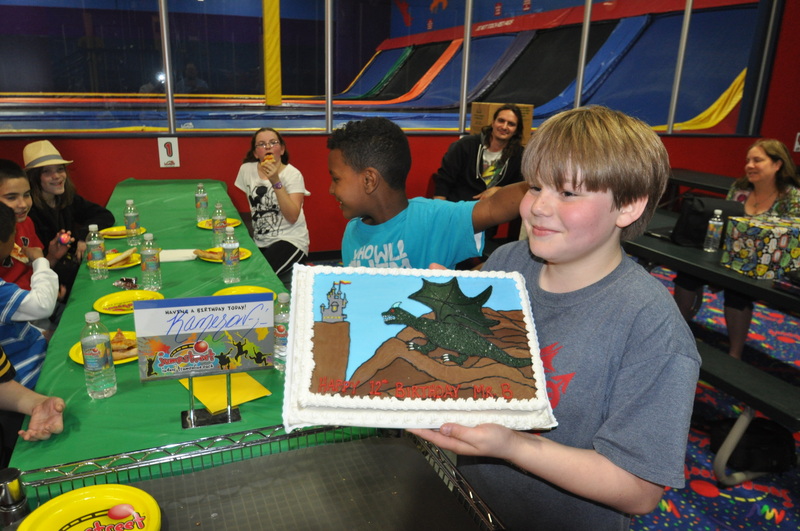 I drew the picture of the dragon, and the bakery put it on the cake – it was great! 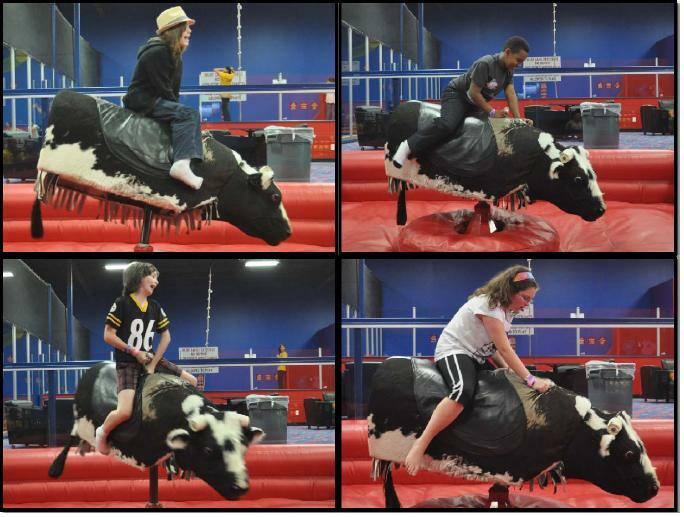 Devin, Moses, Shane, and Sammie were amazing on the mechnical bull — even though none of them had tried it before. I got amazing presents from everyone. Elwood Lindell, my grandpa’s 92-year-old cousin, gave me a vintage Ouija board. Everyone wanted to play with it right there. What a cool gift!